JCU’s Professor Peter Leggat AM has been named as a 2015 Australia Day Ambassador for Queensland. 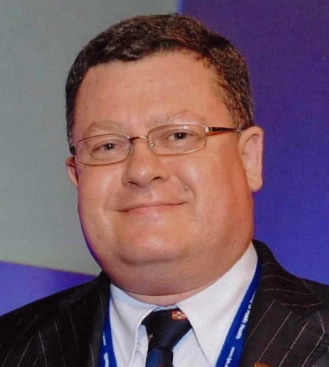 James Cook University’s Professor Peter Leggat AM has been named as a 2015 Australia Day Ambassador for Queensland. He is among 51 Queenslanders selected in the Ambassadors’ Program, who help to capture the spirit of Australia Day by encouraging communities across Queensland to come together and celebrate Australia’s national day. Professor Leggat, who is based in Townsville, is currently seconded as Dean of JCU’s College of Public Health, Medical and Veterinary Sciences. This weekend, Professor Leggat will travel to the Western Downs, which is a centre for agriculture and resources, and is also known as the “Energy Capital” of Queensland. It is also growing in popularity for tourism as part of Australia’s pioneer settlement trail. “This was the second year I have been asked to be an Ambassador and I did not hesitate to agree,” Professor Leggat said. Professor Leggat will spend the Australia Day weekend in Wandoan, and will be hosted by the Western Downs Regional Council. He will be assisted in the Western Downs by two other Ambassadors, Marayke Jonkers, champion Paralympian swimmer and founder of Sporting Dreams, and Nicole Gibson, mental health campaigner and Finalist in the Queensland Young Australian of the Year Awards 2014. The Australia Day Ambassador Program was established in 1990.